The Boston-based entertainment group EMUZE will bring their Verge Campus Tour to the University of Rhode Island on Oct. 19. The tour will include an “interactive village” featuring popular brands, an appearance from the cast of the MTV program “The Buried Life” and a concert at the Ryan Center at 8 p.m. headlined by Chance the Rapper. Brett Segall, founder and CEO of EMUZE, said that his company selected URI for a stop because the university reached out to them, and also because they wanted to bring the tour to schools they have not previously visited. EMUZE is the parent company of the Verge Campus Tour and the entertainment hub website emuze.com. The company was founded by Segall and his friend Maxwell Zotz during their senior year at Brandeis University. The company’s first Verge Campus Tour was held in spring of last year and was headlined by Kendrick Lamar, Steve Aoki and Bad Rabbits. A second tour, held earlier this year, featured Krewella, Logic and Radical Something. For this year’s tour the lineup features hip hop artist Chance the Rapper, electronic musician Sweater Beats and Danish rhythmic pop singer and graphic artist Young & Sick. The concerts are one component of the Verge Campus Tour, with the other being the interactive village operated during the day. 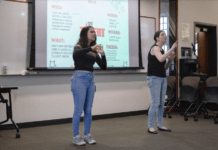 “When we visit a campus, we typically do a campus takeover where we have an interactive village during the day, which is comprised of opportunities for students to learn more about brands that are on the tour,” Segall said. The village also features activities such as games, contests and information about internship and career opportunities. “We’re really striving to really create an atmosphere and engagement on campus where kids can have a really amazing time,” Segall said. 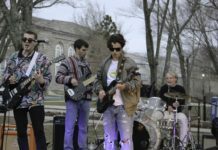 The tour also includes a presentation by the MTV show “The Buried Life,” who will discuss the bucket list concept and how students can achieve the items on their own. “The Buried Life”’s presentation will also feature a contest called The Most Epic Bucket List Contest Ever, in which students can enter for a chance to win a bucket list-themed trip. Segall also said that his company will be launching vergecampus.com, an online publication about campus life, within the next few weeks. The website will feature different chapters for each school with content written by students. The Verge Campus website is slated to cover popular culture, entertainment, fashion and other topics that interest college students. Following the Verge Campus Tour, the next events at the Ryan Center will be a performance by comedian Kevin Hart on Oct. 26 and a concert by country singer Hunter Hayes on Nov. 1. 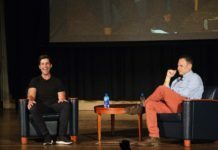 “Late Night” host Seth Meyers will perform as part of Family Weekend on Nov. 8.